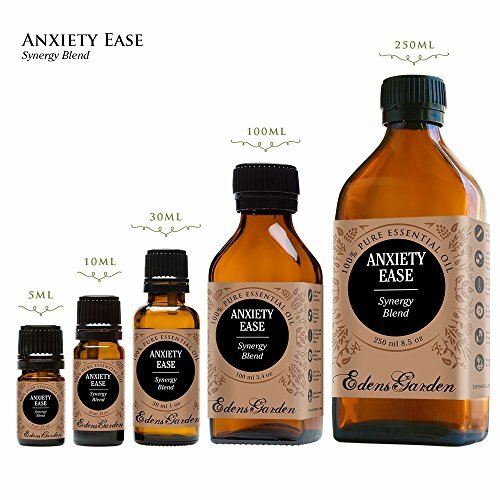 Each oil is available in 5 sizes- 5, 10, 30, 100 and 250 ml- packaged in amber glass bottle with euro style dropper cap. 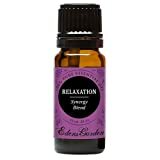 Each order includes our 150 Ways to Use Essential Oils brochure. For more details about this product, see Product Description section below. Highest quality and affordable prices...why? We do not sell wholesale or to stores, but offer top quality essential oils at the best price, direct to our loyal customers. We ship promptly from our garden to your home, which means product never sits on shelves. We control the freshness and quality of each product. We are honored to be one of the top 250 US sellers on Amazon.com (ranked 178 out of around 2 million sellers), with a consistent customer service feedback rating of 100%. Edens Garden is women owned and operated. 10% of all proceeds are donated to a variety of organizations that are doing their part to help build a better tomorrow (Ecclesiastes 1:4). At Edens Garden, we hope that if you are suffering from anxiety that you seek help and let Anxiety Ease work as a tool in your life to find lasting peace.